Receive an I-20/DS-2019 from ISSS after providing the necessary documentation. If you will hold a F-1 or J-1 visa status, please pay your SEVIS fee once your receive your I-20/DS-2019 from Vanderbilt. Remember to print the receipt for your visa interview. More information about the visa interview process can be found here. Complete the Pre-Arrival Form prior to arriving in Nashville. What you will need to show at the U.S. Port of Entry: Passport; Entry visa; Original I-20/DS-2019. If you are a Canadian citizen, you will not require an entry visa to enter the United States. Immigration regulations allow F-1 and J-1 students to enter the U.S. up to 30 days before the program start date listed on your I-20 or DS-2019. Vanderbilt University is located in Nashville, the capital city of Tennessee, in the southeastern region of the U.S. Nashville has a dynamic film, video, and recording industry and is affectionately known as “Music City, USA.” It is also noted for health care, publishing, insurance, finance, and education. A rapidly growing city, metropolitan Nashville has a population of more than 1 million. Vanderbilt is ideally situated just five minutes from downtown. Nashville is a city of students, with more than a dozen colleges and universities attracting some 30,000 students from the U.S. and around the world. 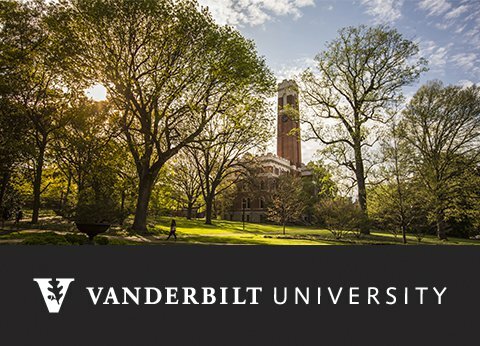 Please take the time to view the University’s excellent introductory page to our beloved city and ISSS’s Life at Vanderbilt resource collection. Climate: Nashville has a mild climate. Summers are humid; winters are cold. Summer temperatures range from 68°F (20°C) to 90°F (31.6°C). Winter temperatures range from 32°F (0°C) to 50°F (10°C). Nashville experiences 2-3 light snowfalls per winter. Dress: People in the U.S. dress casually. Shorts and t-shirts are the norm during summer. Jeans, sweaters, and jackets are common in the winter. Formal attire (suit and tie for men; pants-suit, skirt, or dress for women) is appropriate for business meetings, interviews, or certain social events. Bring available funds for at least two months in Nashville. Initial move-in expenses can be high. Salary payments for teaching or research assistantships will not be issued until the end of September. Please plan your finances accordingly. You may also wish to bring: alarm clock, pillow, towel, bed sheets, and enough clothes for one year of changing temperatures. Remember a warm winter coat and gloves, plus an umbrella for our rainy days. You may include cooking utensils (rice cooker, steamer, etc. ), or you may purchase items in local stores and shopping malls. ISSS will have pillows and linens available for purchase to make your first night on campus comfortable! Packages include a pillow, twin size sheet set, blanket, bath towel, washcloth, and laundry bag and may be purchased for $50 (Commodore Cash or Credit card only). Students may purchase linens at the ISSS office or at the Sarratt box office upon arrival in August. If your country has a national dress or other traditional materials, please bring selected items with you. ISSS and international student organizations offer opportunities to share your culture with U.S. citizens and other friends in the international community. People will ask you about your home country, so consider bringing pictures of your hometown, family, and places/people/things that you can share. Please be prepared to pack only two carry-on bags for your flight to the U.S. – U.S. airports allow only two small bags to be brought with you on airplanes. Remove all luggage locks at the U.S. customs checkpoint, as all luggage is subject to security checks. Please also be prepared for personal security checks. Individuals are often asked to remove their shoes when walking through airport metal detectors (www.faa.gov/passengers/index.cfm). Remember, you may enter the U.S. no earlier than 30 days in advance of the program start date (for F-1 students, see I-20 item #5; for J-1 students, see item #3 on the DS-2019) and you may not enter after that date. Check here for Mandatory Orientation Information. ISSS is again offering free airport pickup via Lyft from for new students. Completion of the Pre-Arrival Form is required in order to request this service. More information will be provided closer to the summer. Taxis are available for hire and are often $25 one way from the airport to Vanderbilt campus. Uber and Lyft are also popular options in the U.S. You can download the app on the Apple or Android app stores for free. The following options are better suited for those who need to stay for more than a few days while waiting for on-campus housing or an apartment. Students will be notified of their housing assignment by the Office of Housing & Residential Education. Please contact them directly with questions and to make arrangements to move-in. (Phone: 615-322-2591 , Email: resed@vanderbilt.edu). Information and resources for finding off-campus housing can be found in the Housing section of our website.